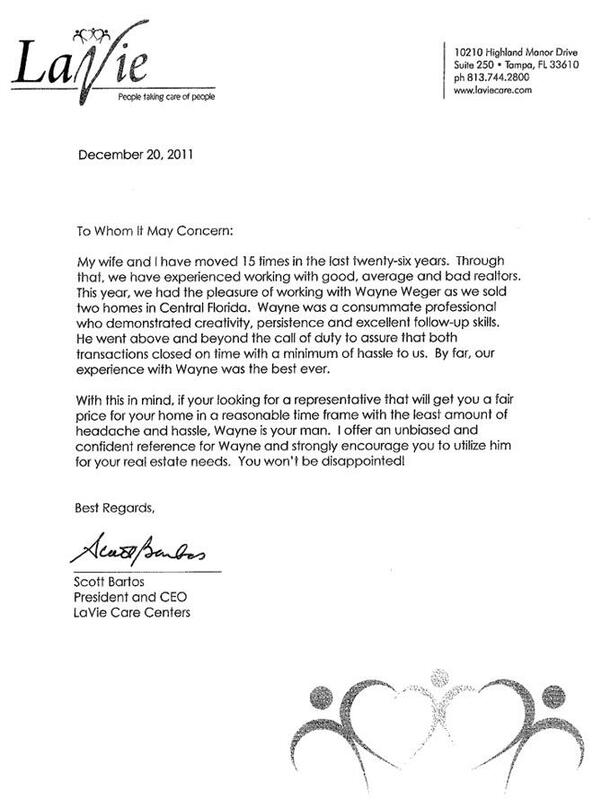 "Wayne made selling our home, easy. Thorough , timely, no excuses, he did all we could ask- marketing our property. Always available he had the experience required for a smooth transition." 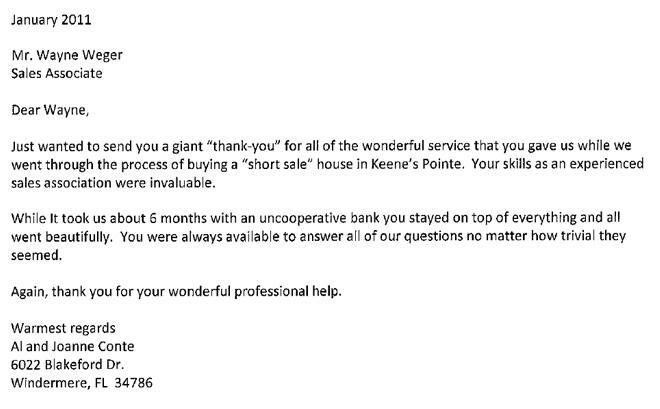 "As a resident of Keene's Pointe, it was an easy decision to list our home with Keenes Pointe Realty and I was referred by a neighbor to Wayne Weger. In an extremely difficult real estate market, it was important for us to work with someone with experience that could guide us through the process. 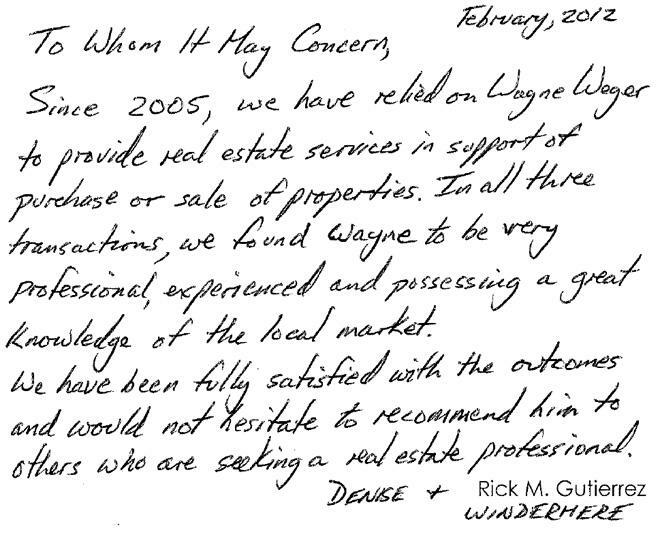 We found Wayne to be extremely knowledgeable and informed when answering our questions. This helped us make the appropriate decisions necessary regarding the price and sale. 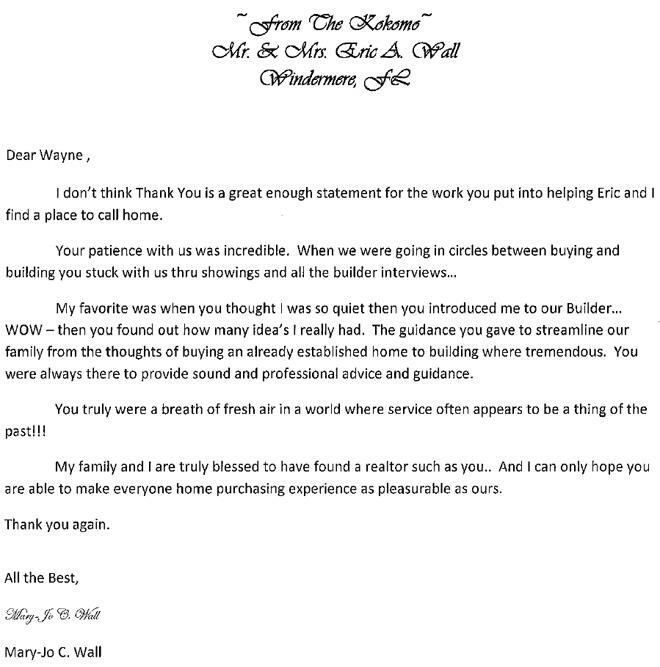 Wayne's professionalism, integrity and commitment made the process less stressful and enabled us to sell our home and also help us find a home to purchase. It was a pleasure to work with him and the other associates in the office. I would recommend Wayne to anyone thinking of selling their home." "Dear Wayne, Congratulations on your website, it looks great! Ever since I met you back in 2005, I had a hunch that you were different from any other real estate broker I have ever dealt with. You helped my family and I not only with honest, bottom line advice regarding the purchase and construction of our dream home here in Windermere but also with your sincere friendship. You were there for us when we needed you the most, your expertise and knowledge of the real estate market especially in the Windermere area with a much needed help not only deciding location, size and not so obvious details you pointed out that had made a world of difference for us. You know that if ever I would sell of buy any other property here in Windermere or Central Florida you will be our man. From my family and I, Wayne, thank you and best wishes for a continued success. Sincecerely,"